Park Bo-young and Kim Young-kwang in "On Your Wedding Day"
Park Bo-young and Kim Young-kwang are starring in the romantic movie "On Your Wedding Day". 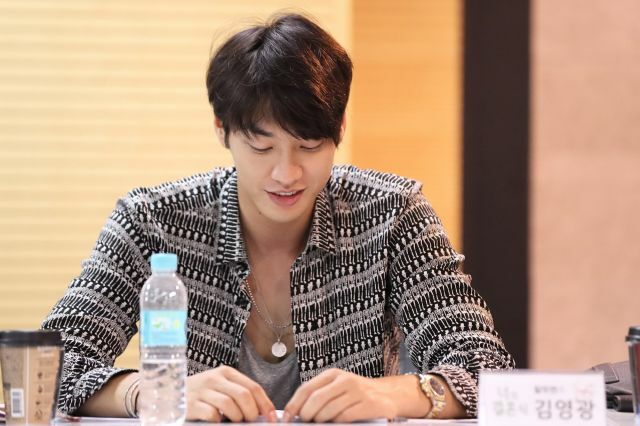 "On Your Wedding Day" is a love story of ten years between Woo-yeon (Kim Young-kwang) and Seung-hee (Park Bo-young). They meet when they are in high school and their friendship continues onto adulthood. Seo Eun-soo takes on the role of Kim Young-kwang's ex. Other actors and actresses are Kang Ki-young, Ko Kyu-pil, Shin So-yul, Song Jae-rim and others. The movie will be released next year. "Park Bo-young and Kim Young-kwang in "On Your Wedding Day""